Venture in her second agility trial -- a qualifying run in Novice Jumpers w/Weaves Preferred! Venture in her second agility trial -- a qualifying run in Novice Standard Preferred! Click here for Venture's health information. Click here for Venture's pedigree. Click here for more photos of Venture. Venture is absolutely brimming with personality. She is expressive and demanding, and her antics keep me in turn laughing and groaning. Like some of the students that I teach, she wiggles her way out of a pickle with pure charm. I love this girl and am enjoying watching her mature. Venture has lovely longevity in her pedigree. Her maternal granddam became a Gray Muzzle Leo, and went on to attain 13 years! Paternal great-grandsire and dam reached the ages of 12.5 years and 11 years 7 months, and her maternal great-granddam reached the distinguished age of 12 years and 11 months. Her paternal grandsire and great-granddams attained 10,11.5, and 10 years. Click here for Bryn's pedigree. Click here for Bryn's health information. Click here for more photos of Bryn. Click here for Cinder's pedigree. Click here for Cinder's health tests. Cinder is a super fun Leo girl! She is bold, intelligent and athletic. She loves to be cradled on her back in my lap, with my arm held in her mouth. Her other loves are stick collecting, gopher eradication, toy squeaker destruction, remodeling of shoes (left preferred), agility and water. Click here for Dazzle's pedigree. Tango in her first agility competition. We Q'd! Click here for Tango's health information. Click here for Tango's pedigree. Click here for more photos of Tango. Tango is retired from breeding but continues her life's work as a therapy dog. 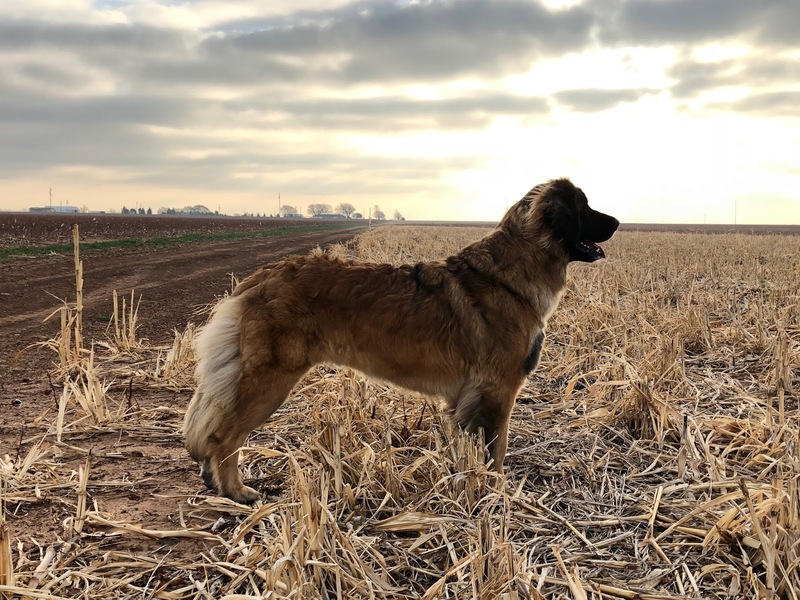 Tango has the ideal Leonberger temperament. She lives to please and is highly trainable. She thrives as a therapy dog while visiting nursing homes and was an excellent example of empathy for a special middle school class taught at my school. Tango is also blessed with dogs behind her that have enjoyed long lives and good health. 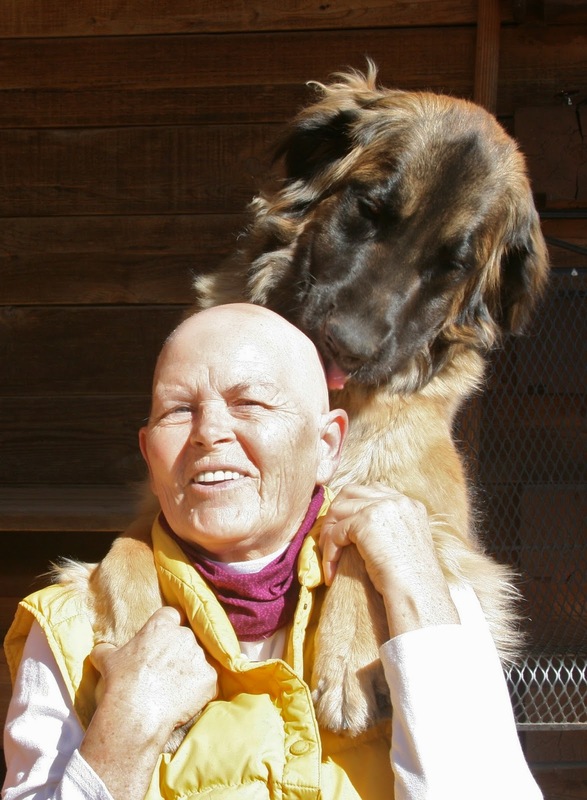 Her mother, Nockerl von Stutensee, passed away just short of 11 years old. 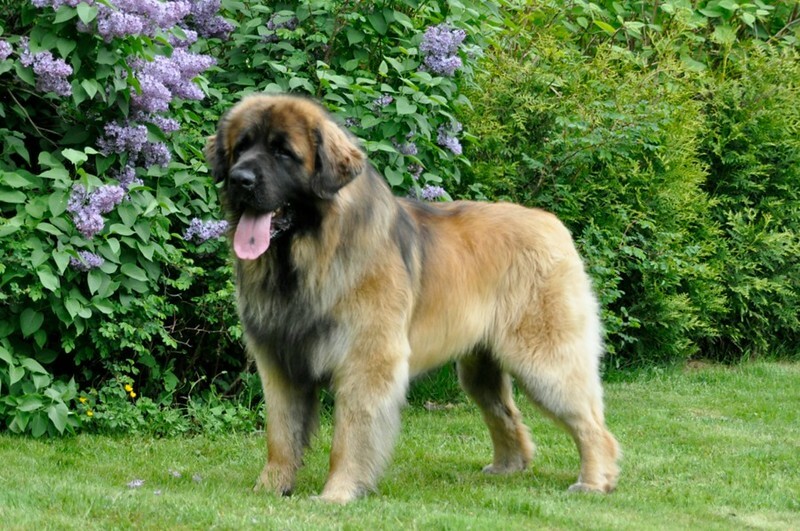 Tango's paternal grandsire and dam reached the grand ages of 12.5 years and 11 years 7 months. Click here to read a wonderful newspaper article featuring Tango. Most of Zippo's health tests were completed while he was in Sweden. Documentation can be viewed in his photo gallery. Click here for Zippo's pedigree. Click here for copies of Zippo's health certificates. 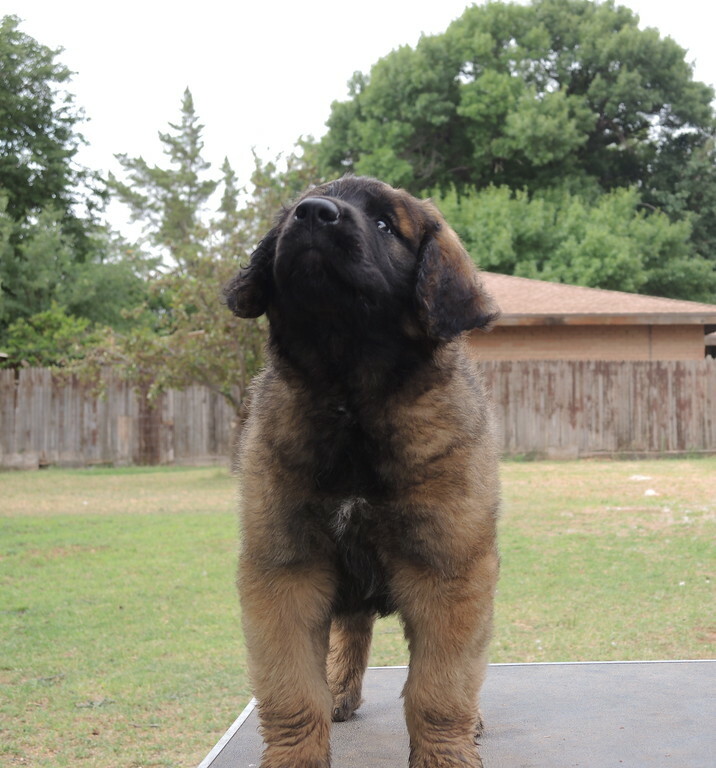 Click here for more photos of Zippo. 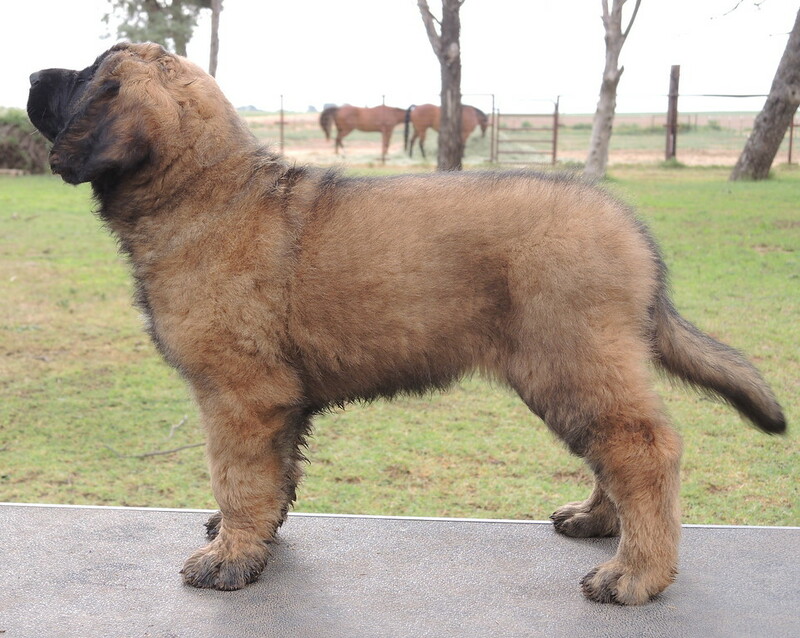 Zippo is not available for breeding to outside females. Zippo came to the USA as a 2 year old in December of 2016. He came from the home of Victoria Wildering of Wildering Leonbergers (Sweden) to be a part of both my, and Wendy Jones' (Bluebonnet Leos), breeding program. Victoria told me before he came that Zippo is as beautiful inside as he is on the outside -- her words were truth. He is a wonderful boy. Happy, sweet, cuddly, intelligent. 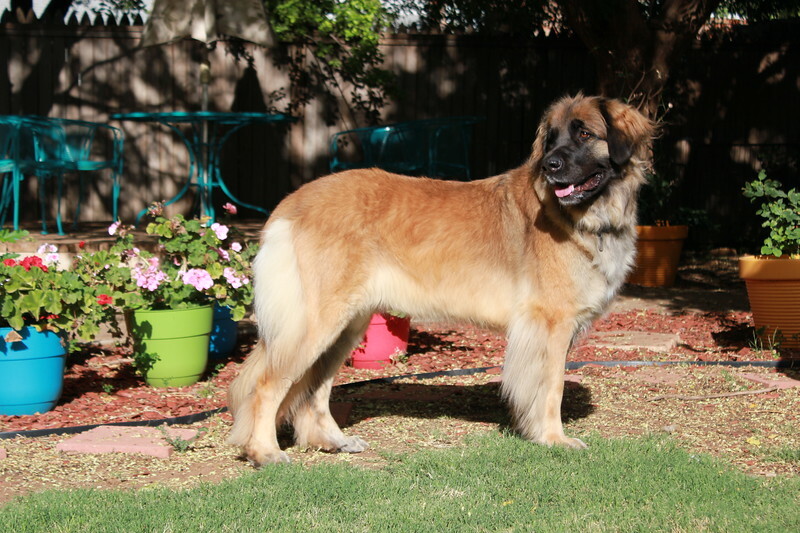 He epitomizes the melding of majesty and heart that a male Leonberger should. We are honored to have him.